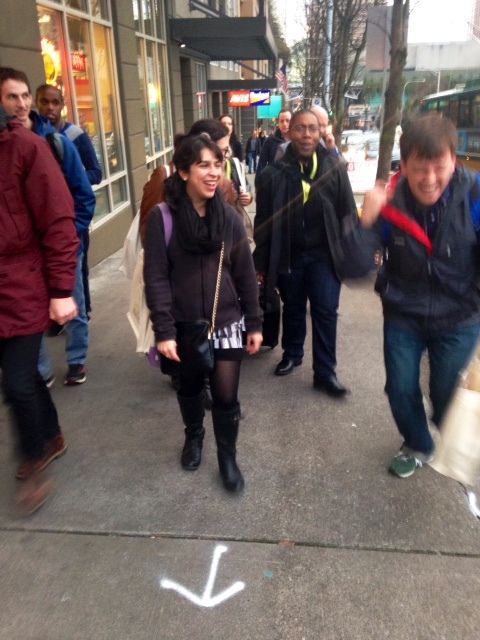 Last night, while leading eight current MAPH creative writers on an uphill March from the Seattle’s Washington State Convention Center to Von Trapp’s in Capitol Hill, I was marveling (aloud, perhaps unfortunately for my companions) about what going to the AWP conference can do for an aspiring writer. 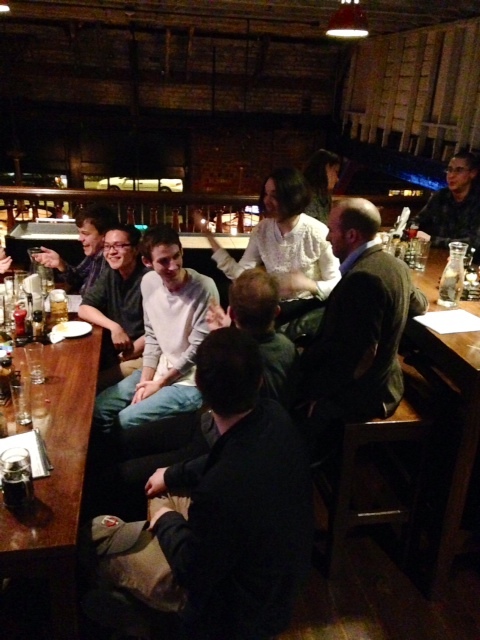 We were on our way to the second-ever MAPH/UChicago Alumni offsite reading at AWP. Earlier that morning, my colleague A-J Aronstein and I had stopped by a panel featuring the poet and teacher—and reader at last year’s offsite event—Shaindel Beers (MAPH ‘00) entitled the “Art of Difficulty.” Using beautiful language, Shaindel described teaching poetry students in prisons, schools, etc. as finding a way of “giving permission.” To write, one has to believe that they have something worth saying, a voice worth hearing. To Shaindel, it is a writing teacher’s job to nurture that belief, to create a space for it to thrive. This entry was posted in Academics, Adventures, Alumni, Events, News, Publications, Teaching and tagged AWP on February 28, 2014 by Jessica Haley.